Stop Giving My Dog Treats, Already! Refraining from feeding other people’s dogs basically comes down to respect. We dog lovers have a hard time encountering any dog without saying hello and offering a pat — and sometimes even a cookie. After all, dogs are all good boys and girls, and they deserve a cookie, no? But no matter how well-intentioned, this habit can sometimes do more harm than good. When someone asks you not to give their dog a treat, please listen to them. There are several reasons why someone may not want their dog snacking between meals. Allergies are becoming all too common with pets as well as people. Animals can be allergic to a wide range of things, including some foods. Allergies to foods can be present from birth or develop later in life; also, all breeds are susceptible. “Allergens which are most commonly associated with food allergies include: Beef, milk, soybean, chicken, pork, yeast, corn and wheat,” advise Cody W. Faerber and S. Mario Durrant in Canine Medicine and Disease Prevention. Many dog brands’ treats have at least 1 of those ingredients included. The allergic dog may enjoy the cookie you’re offering them now, but later they’ll be miserably itchy and uncomfortable. Dogs who have diabetes must be fed a very closely monitored diet. Diabetes is a disease in which the pancreas does not produce the appropriate amount of insulin, which causes sugar imbalances in the body. This means that dogs (and people) with diabetes must get supplemental insulin in the form of an injection or a pill to keep blood sugar levels within the appropriate range. If the blood sugar goes too high or drops too low, it is dangerous. If left untreated or not caught quickly enough, it can be fatal. 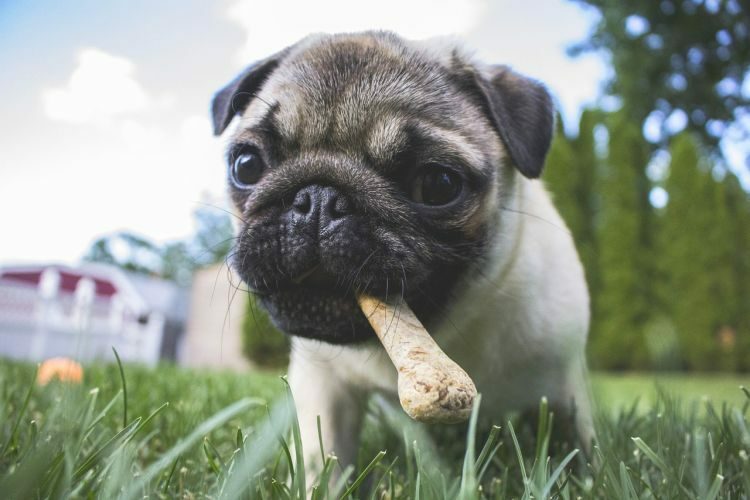 “The problem is that many dog biscuits and other snacks are loaded with sugar, salt and fat, all of which can make insulin less effective,” editor Matthew Hoffman explains in Vet on Call: The Best Home Remedies for Keeping Your Dog Healthy. With that in mind, you can see why someone might panic if you give their dog a cookie on the sly. Some dogs have aggression issues. Their trigger could be fear, anxiety, other animals, other people — or food. If you are interacting with a dog who has food aggression, you could lose a finger trying to hand them their treat. Perfectly sweet, loving dogs have been known to have food aggression; this is not something you can tell from their social demeanor. According to the Association for Pet Obesity Prevention, in 2016, about 54% of dogs were considered overweight or obese — yikes. Obesity poses a serious health risk for animals. They can suffer from respiratory disorders, skin disorders, have a reduced life expectancy with a poor quality of life and more. People who have recognized that their pet is overweight or obese may be working hard to correct the problem and ensure a longer lifespan for their pet. In other words, they will not thank you for interrupting their hard work. As we know, dogs can perform a wide variety of useful functions — other than loving us unconditionally, of course — such as police K-9s, airport security, therapy dogs, service dogs and more. Training these dogs takes a great deal of time and effort. Dogs who are out in public may be learning how to ignore distractions in their environment and be calm in the presence of others. A person who walks up and deliberately interrupts this important work will likely be unwelcome. And the handler will tell you so in no uncertain terms. Giving a treat where it is not warranted to a dog-in-training can cause confusion and backsliding in their training. One of the most important reasons you need to stop arbitrarily handing out treats to others’ dogs is respect. That is not your dog. You do not have any idea about their possible medical conditions, health status or training status. The person who cares for that animal is responsible for their well-being. Deliberately disrupting that role would be like someone disciplining your child and telling your child not to listen to you. Rude, right? 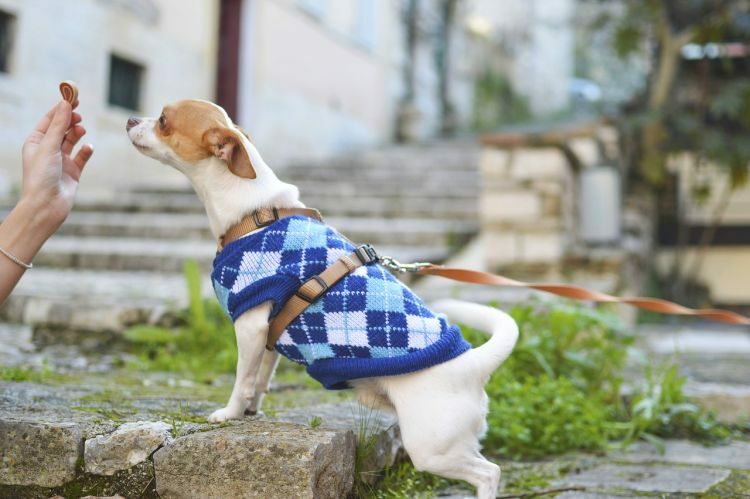 The best thing you can do if you see a dog out in public that you’d love to give a treat to is to simply ask the person who is accompanying the dog. If the dog’s human says no, respect their decision. In lieu of a treat, tell the dog they are a good girl or boy, and they will eat it up.